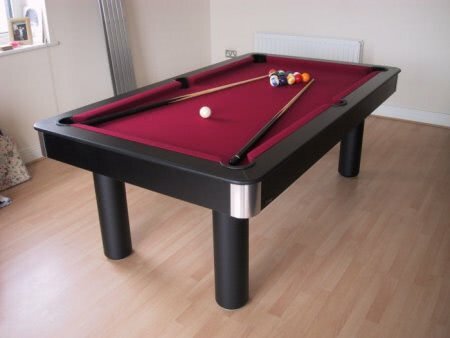 Luxury pool table with dining top - available in different sizes and cloth colours! The Red Devil is part of the Longoni range of tables, dedicated to providing the player with only the finest equipment available! The Red Devil is a smart, modern design table that will look fantastic in your home, or a communal area. The table is constructed from double layered plywood which has been finished in a scratch resistant black formica veneer. The tubular legs are iron with black veneer finish to match the table, and there are aluminium corners to complete the stylish look. The Red Devil is supplied with a sectional hard top that allows it to be used as a superb dining table. For real connoisseurs of both functional design and billiards this table ticks both boxes. My wife and I chose this table after a great deal of research (as with any of our furniture purchases!) 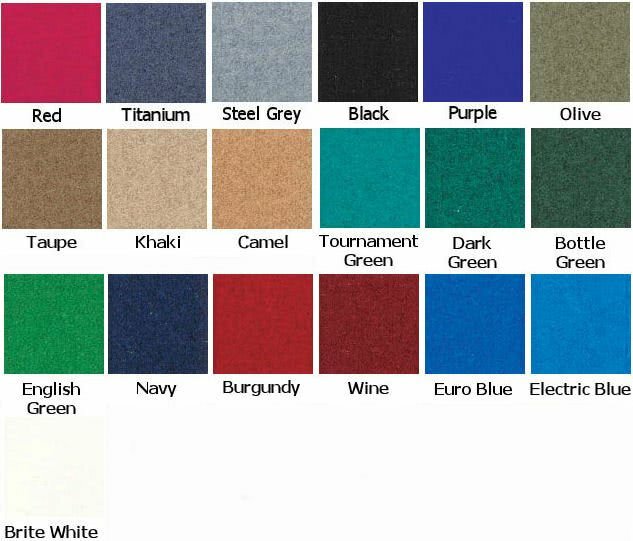 and were able to match out chosen cloth colour to the colour scheme in our home. The table is a quality build as you would expect for the price.